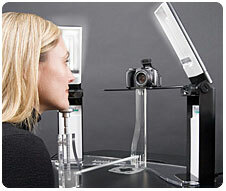 The Surani Clinic is excited to introduce the New Digital Skin Analysis System. This imaging system is a diagnostic tool that allows us to visualize skin blemishes and wrinkles above and below the surface of your skin. This allows us to customize a proper treatment and program for you to specifically target your problem areas with complexion like age/dark spots, UV damaged areas, wrinkles and more. This will help to prevent any further damage and also delay your aging process, restore your skin's youth, texture and health. Call The Surani Clinic now and take a deeper look at your skin to find out if you have any of the following and how we can help you overcome it.